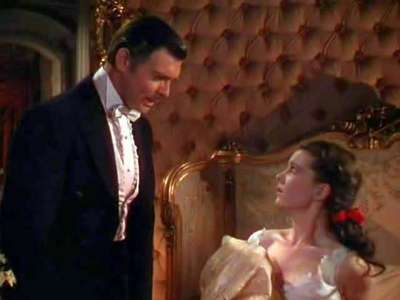 What do Du think when Du see the pairing, Scarlett O'Hara and Ashley Wilkes? What do Du think when Du see the couple, Ashley Wilkes and Melanie Hamilton? What do Du think the child Melanie Lost would have been? Gone with the Wind has a 95% average critic ranking on Rotten Tomatoes. Do Du agree with this? Do Du think Scarlett got married again? What would Du change in the movie/book if Du could? Which actor,besides Clark Gable,do Du see as Rhett? Richmond's historic movie palace, The Byrd Theatre will be hosting Civil War Cinema on November 2nd, 2008. If Du are a Schokolade lover, history buff, oder Gone with the Wind Fan this event is perfect for you! a comment was made to the poll: Don't Du think GEORGE CLOONEY could do better Rhett than Dalton did? a comment was made to the poll: [Tumblr Confessions] Which do Du agree? You're going to that party, if only for her sake. Now get dressed ! Wear that ! Nothing ______ oder matronly will do for this occasion.